Quinn is now approaching four months old, and we've only used Water Wipes at change times, after discovering them at The Baby Show during my pregnancy. 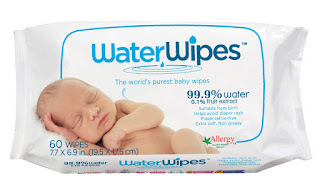 Unlike all other baby wipes on the market, Water Wipes contain no chemical ingredients what so ever, just water, and a tiny splash of fruit juice (99.9% water, 0.1% grapefruit extract). The fact that Water Wipes are just that - a water based wet wipe - makes them a safe but more convenient alternative to the water and cotton wool method of cleaning recommended for newborns. 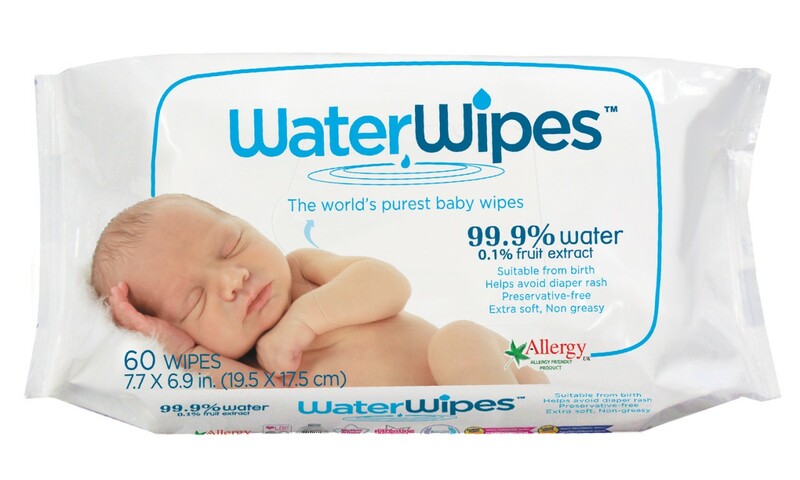 Water Wipes are the only wipes on the market suitable for newborn skin, and the purest packaged wet wipe available worldwide. But are they any good? We've been using them for three months now - and have put in a repeat order, so it's safe to say that we're impressed. They certainly tackle anything from those first, tar like newborn poos, to the later poonami explosions, and are effective for a quick freshen up in between wet changes too. 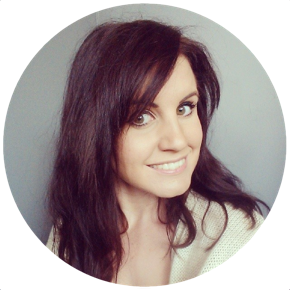 Quinn hasn't suffered with any nappy rash or skin irritations at all since birth, though if she's looking a little bit pink at times, we use coconut oil or a swipe of Natalia Virtual Touch Bottom Butter to calm any inflammation. We've certainly had no adverse reaction to the wipe though (water allergies are very few and far between). Water Wipes are the only baby wipes to be approved by Allergy UK, for use on sensitive, intolerant, or eczema prone skins too. We wouldn't use any other packaged wet wipe now. The only downside is they're darn difficult to get hold of compared to, say, Pamper's wipes. We bulk buy big boxes from Amazon to cut the costs, and this is certainly the most cost effective way to buy, but they are available in individual packs from Boots and a few larger supermarkets. When Seb was a toddler, I remember using one of his Johnson's baby wipes to wipe some spilled loose eyeshadow off of my wooden toilet lid, after doing my makeup in the bathroom. Not only did the Johnson's wipe clean up the makeup spillage, but it also removed the varnish from the wooden toilet lid... That experience had me asking questions about what products I'd been using on my baby for the past two years, and had me looking in to products with fewer harsh chemicals the second time around. I used Johnson's wipes on Seb because they were a widely available, trusted household brand, and their products were often given away by organisations such as Bounty and Emma's Diary to pregnant and new parents. I didn't question whether or not they were particularly kind, either to my baby or to the planet, until I noticed the damage caused to the wooden toilet seat! That wooden toilet seat had been my child's skin for years! I wouldn't go anywhere near a Johnson's wipe now, but will be sticking firmly with Water Wipes to keep Quinn clean and sparkly!